By Tefford Reed -- Every three years brings a revision to the National Electrical Code, a benchmark for electrical safety in the US. One by one, the states interpret those changes to help local permitting authorities decide whether a rooftop solar project meets safety standards. Technology designed to code is likely to require costly and time-consuming upgrades as code changes. A modular, low-voltage technology, like the Enphase Microinverter System, inherently satisfies code requirements year after year. To comply with the 2014 National Electrical Code (NEC), rooftop solar systems must be able to isolate high voltage DC to an area very near the PV array. More specifically, energized DC conductors outside of the array area must be brought to a voltage less than 30V within 10 seconds any time the inverter is cut off from utility service by a circuit breaker, a disconnect switch, or other means, leaving no wires energized more than 5 feet inside a building or 10 feet from the solar module array. This includes that the inverter itself cannot be a source of back feed energy, directly or by capacitor discharge. The 2017 NEC says rapid shutdown equipment has to be independently tested and recognized as compliant with the latest safety standard. It also reins high voltage into the boundary covered by the solar module array. High voltage can no longer extend 10ft outside the array, as it could under the 2014 NEC. Rapid shutdown compliance comes automatically with all Enphase Microinverter Systems, including those installed before the 2014 NEC came into force. The reason has to do with the way we engineer microinverters. In the Enphase system, a single inverter beneath each solar module converts low-voltage direct current into alternating current. When the sun is shining, each microinverter verifies that its module does not have ground fault and the grid is operating normally, then it exports AC power. If the grid has a failure or the AC wires are disconnected, the microinverters stop producing AC power very quickly, usually within six AC cycles. Without a connection to the grid, our microinverters cannot export AC current or voltage, nor can they energize connected wiring. Systems with string inverters take a fundamentally different approach, building up voltage from one solar module to the next. String inverter systems require workarounds to comply with the 2014 NEC and will likely require further modifications going forward. String inverters also need a specialized rapid shutdown electrical box installed on the roof, within 10 feet of the array, and a ground-level shutoff switch that’s easily accessible to first responders. These changes can require an additional run of conduit connecting the two additional pieces of equipment. Once the 2017 code changes take effect, a solar system with high voltage running 10 feet from the array boundary will no longer be in compliance. We can all expect tighter and tighter standards as the electrical code evolves for 2020 and beyond. Enphase is staying ahead of the curve by developing next-generation AC modules; products that eliminate the need for any field wiring of DC components. Enphase takes the issue of quality into a factory environment where local inspectors no longer need to be the judge, asking “Was it done right?” AC modules enhance system safety, while eliminating duplicate logistics from the factory to the rooftop. This is trailblazing technology that points the way for future iterations of the electrical code rather than reacting to the latest changes. 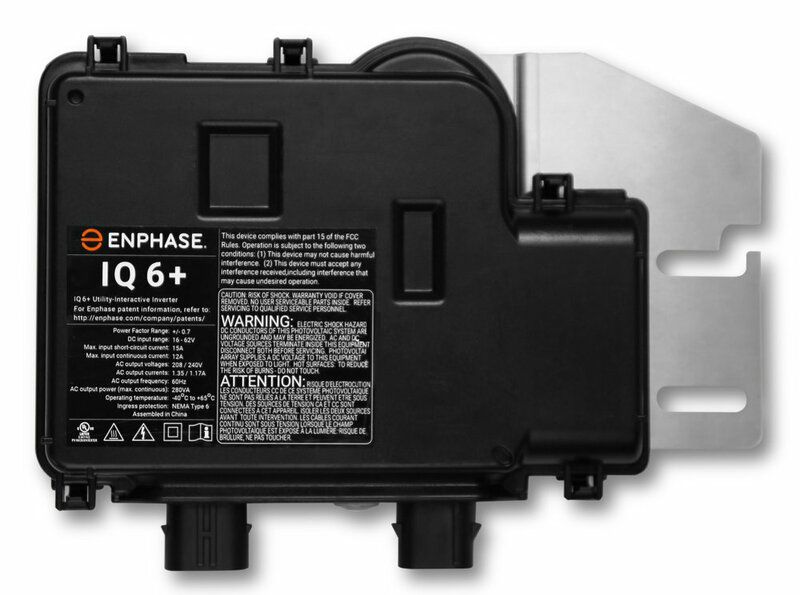 Pictured above is Enphase's new IQ6 microinverter.